The BKA wishes to invite as wide a participation as possible to the British Open that will be on Sunday 25th November 2018. Therefore the weekend will consist of 4 activities, 3 of which will be open to any guests. 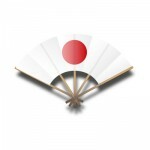 The Sir Frank Bowden Memorial Taikai will consist of teams of 5 players aged 18 years of age and above, a minimum of 3 persons being registered to the same Dojo or club within the British Kendo Association. To cater for smaller clubs who may not have sufficient registered members to take part, the other two team members can be either BKA dojo members or any other BKA members. Each club will be allowed to enter 2 teams, more than 2 teams will only be allowed if there is sufficient places. Pool and knock out systems will be decided by the Kendo Bu and IKF/EKF rules will apply. Qualifying age is taken from the 1st January of the year of competition. 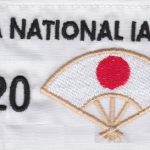 All participants must be fully paid up members of the BKA prior to the date of the Taikai and may be required to supply their BKA membership number at registration. Registration 9.30 , Keiko at 10.00, Competition start at 11.00.